The NSW International Student Awards recognise the outstanding contributions international students make to communities in NSW and celebrate excellence in international student community engagement. The awards are coordinated by Study NSW and are held in spring each year. 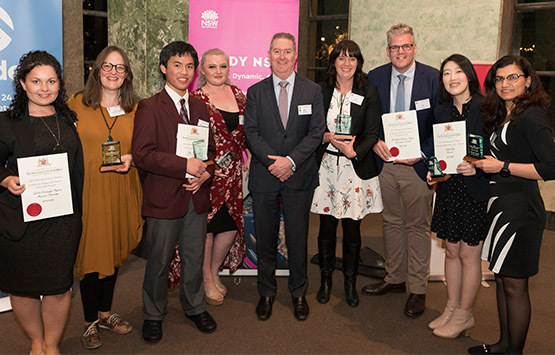 Two groups of awards are presented – the NSW International Student of the Year Awards and the NSW International Student Community Engagement Awards.